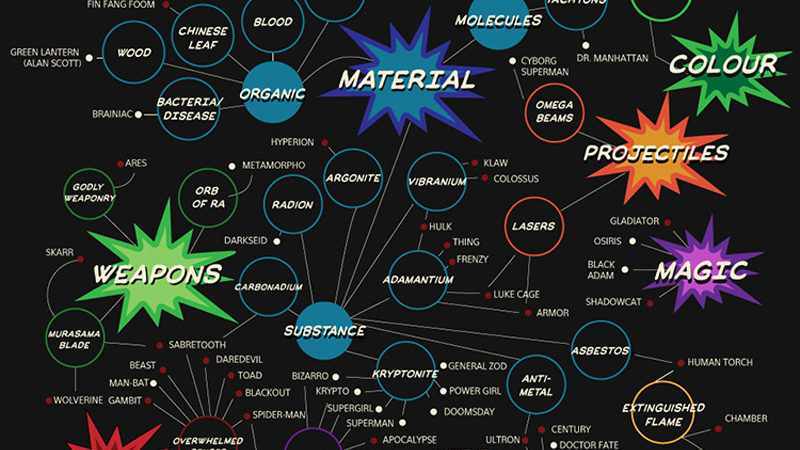 A new illustrated chart by MorphCostumes shows how complicated Marvel and DC universes are by showing the achilles heels of heroes and villains. Lock them all up in a geological museum and you’re almost done. But whether it’s an organic material or simply just a form of speech, it’s possibly a weakness for some hero or villain out there. Here’s the complete graph. Wolverine’s still the best and being Namor must be really tough!